I’m disappointed to say I’d never read this book until now, for my Year of Reading Women. I’d heard of it, of course. A United States that has fallen, the President assassinated, Congress assassinated – the Pastors step in. Dystopian, fundamentalist Christian enclaves spring up. This novel is a warning, and a reminder, like all good science fiction (or speculative fiction, as Margaret Atwood would insist.) It is also brilliant and has fantastic literary qualities, beautiful prose (which are perhaps why Atwood strives to avoid the SciFi Ghetto). It reminds me of George Orwell and Aldous Huxley, but with Huxley’s inherent racism turned around, as a misogynist society strives to keep women in their place. An American Taliban. The Republic of Gilead is a white Christian man’s paradise. Offred is a Handmaid, in the service of her Commander and his Wife. She is allowed to leave the house only to go shopping for what meagre rations her coupons permit her. Each day, permit in hand, head lowered, she passes the Guardians, teenage boys with submachine guns. In her blood-red habit she meets with another Handmaid (they can go nowhere alone, they are women, after all) and they go shopping. The Handmaid’s only task is to bear children. They’ve taken all the ceiling fixtures, the rods from the cupboards. She is not allowed a knife – they’ve lost too many Handmaids. This novel is gripping, a terrifying glimpse of dystopia, of control and of hidden societies. Right up my alley, then. The idea of The Handmaid’s Tale as a purely feminist novel seems to me to be overly simplistic. It does, as Atwood once said, demonstrate the consequences of certain attitudes held towards woman being taken to their logical conclusion, but that does not seem to be all that is happening. Society remains a patriarchy, ruled by the commanders and enforced by the various orders of men and women are stripped of all rights and turned into possessions. The problems of infertility result in a return to the Biblical precedence of surrogacy as seen in the case of Abraham and Rachel and those who can still give birth become highly prized. Women are placed into a strict caste system, at the top being the wives of the commanders and their daughters, followed by the handmaids, the Marthas who serve in the households, econowives and lastly the unwomen, made up of the infertile, the homosexual and those who rebel against society’s values. The unwomen are transported to the colonies where they face a hard life and death, usually by radiation poisoning. Women are not allowed to read or write and even signs on buildings have been reduced only to iconography to remove the temptation. The handmaids wear red, an idea inspired by P.O.W camps, to distinguish them from the rest of the population. Red is the colour of blood, the colour of life, but in the same way it is also like a scarlet letter. For future generations, the aunts tell us, it will be easier because they will not be literate and will not remember what it was like before. At the heart of the problem is fascism though, a religious extremism that is dangerous to both men and women alike. Those men unwilling to embody the society’s values face salvaging, consisting of a public execution and a macabre exhibition as a corpse hanging from the wall. Homosexuals are seen as deviants as stated in Leviticus and are executed as gender traitors for further damaging the chance of impregnation. Doctors are executed retroactively for abortion as scapegoats for having hastened the problem. Most Christian denominations seem to fare well enough if they are willing to live by the rules of the new regime, although we do know that they are at war with the Baptists. African Americans, now referred to as the sons of Ham, seem to be relocated in segregation, hinting that they are seen as cursed as Ham is. The Jews, the sons of Jacob, are offered two choices, either conversion or the Return, but most of those who choose the latter never reached Israel as they are dumped into the ocean. The fate of American Muslims is not mentioned, but we can only assume it is bad as the assassination of the president, orchestrated by the new regime, was blamed on Muslim extremists. Women may have it the worst, there is no doubt about that, but it seems to me that unless you are a male with traditional Christian views it remains a rather bleak dystopia. The other problem seems to be that some of the worse treatment that women face in the novel is at the hands of other women. The aunts happily embrace traditionalism and use their position to lord it over all the others, especially the handmaids, and encourage them to treat each other badly in turn. In one of the book’s most jarring scenes, one of the handmaids in training “testifies” to being gang raped as a teenager while the rest of the handmaid’s chant that it was her fault for leading the males on. The handmaids face hatred from the wives who resent both the fact that they are necessary and that they are present and are looked down on by the Marthas who generally see them as selling themselves for their position. All the supposed ideology about sisterhood is false and behind it is hatred, envy and jealousy. 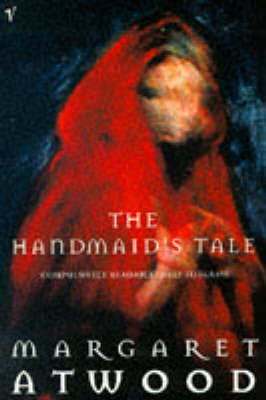 The most interesting thing for me about The Handmaid’s Tale is how relevant is remains 25 years after publication. It is possible to see the segregation, the covering up, the limiting of rights, etc. in the novel still in place in middle eastern countries like Iran, but the similarities also can be found closer to him in the recent anti-Muslim sentiment both here and England and more extremely in the United States and also in the anti-gay sentiment inherent in the gay marriage oppositions. The rise of the religious right and its eroding of the separation of church and state in America are worrying as theocracies are never a good thing. The novel remains a cautionary tale about the way we see not only women, but also people who are different to us in race, religion or sexuality. It is also a novel about slavery and agency, as the choice to be a handmaiden is a choice, but it is a very limited one. It is not just about feminism, it is also about humanism, as the fate of women is tied to the fate of us all. This review originally appeared on Empty Your Heart Of Its Mortal Dream.